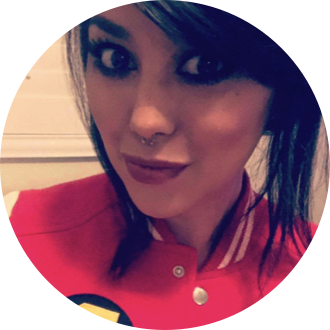 Read Ashley K's review of Night School. Star Kevin Hart and producer Will Packer, who partnered for the hit Ride Along and Think Like a Man series, bring their signature style to Night School. The comedy from director Malcolm D. Lee (Girls Trip) follows a group of misfits who are forced to attend adult classes in the longshot chance they’ll pass the GED exam. Kevin Hart’s first film by his production company was funny but tried to hard at times. 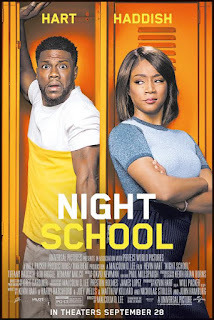 Kevin Hart stars as Teddy Walker, a high school drop out who is constantly trying to impress his girlfriend, Lisa (Megalyn Echikunwok). When he looses his job he starts a night school program to get his GED. He becomes close with his teacher, Carrie (Tiffany Haddish) after they get off to a rocky start. This movie had me laughing out loud at some parts and cringing at others. If you like silly comedies like Tag or Blockers you’ll like this one.